Click on the small images below to see more detail. Lighting accessories & lamp parts. 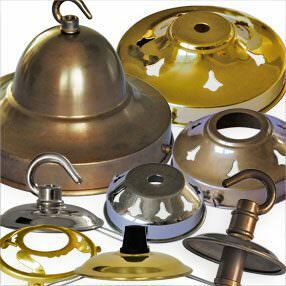 You will find all the various lighting hardware and odds & ends needed for lighting design and restoration. Most are available in antique brass, brass and chrome finish. Please contact us if you need something that is not displayed on the site. Fabric Cable available in 3 core twisted braid, 3 core round (both are earthed and suitable for use on metal light fittings). Plus 2 core braided (not earthed). 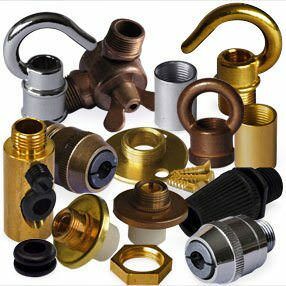 All of our flex is made to a very high standard in the UK conforming with BS standards BS7655 & BS6500. 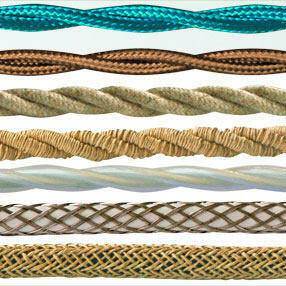 We are happy to provide samples of any colour or core flex. Please email us your postal address and requirements. 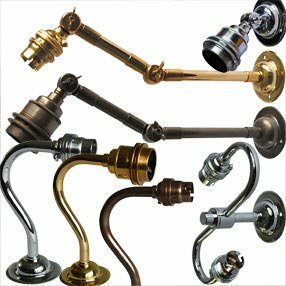 Extensive range of lamp holders available in three metal finishes of antique brass, chrome and polished brass; also bakelite black plastic and ceramic. These bulbholders comply with BS EN 60238 and BS EN 61184. 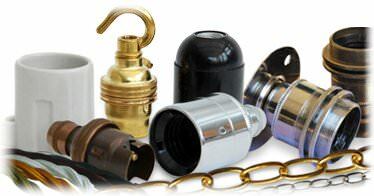 We also supply ½" to 10mm reducers, these make the bulb holder entry 10mm instead of ½". See our Lighting Components page. 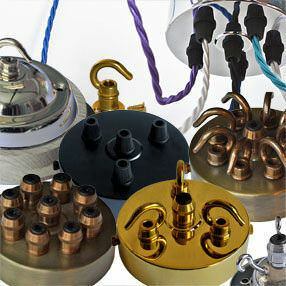 Ceiling rose and ceiling hook plates in single and triple hook plus various cord grip options. Available in solid brass, antique brass and chrome plated finishes plus black enamel. We stock a range of hard wood pattresses available in oak, beech and mahogany. See our 'Ceiling Light Kits' page for ideas plus our 'How to....' page for how to attach your ceiling pendant. 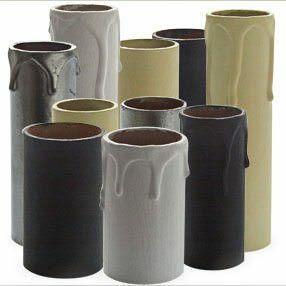 Hand painted card candle tubes available in a dripped or non-dripped effect finish. These are available in ivory, silver white and black colour. Useful for antique chandelier and wall light restoration or for use with modern lighting. We also stock the plastic candle-tube lampholders and the ses and sbc candle light bulbs. Max 40W recommended bulb. Lighting chain made from solid brass available in 3 finishes; polished brass, antique brass and chrome Available in two gauges and link sizes; Small and Large, plus matching 'S' hooks. 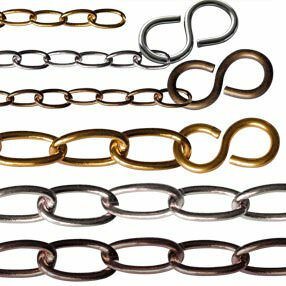 The maximum single length of chain available is 10 metres - advisable Maximum weight bearing is 5kg. Our chain is suitable for use with our Ceiling Light Hooks. These galleries are light shade holders and come in solid brass, solid aged brass and chrome plated brass finish. 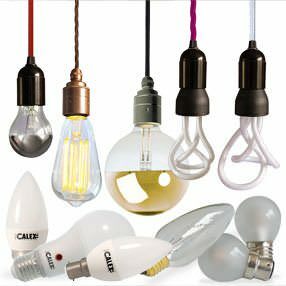 We have various sizes and styles of gallery available in pierced metal for bayonet bulbs. 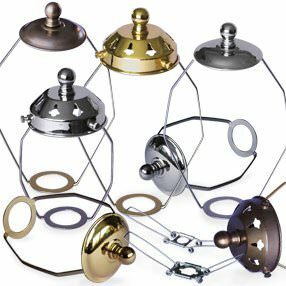 Made in the UK and France they come complete with 3 shade retaining screws and are suitable to hold our wide range of glass and metal Lampshades. 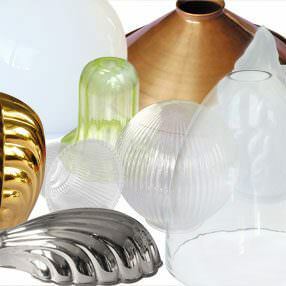 A selection of traditional vintage and contemporary light shades in metal and glass. Prismatic, etched, coloured and opaque glass suitable for replacement period lampshades or contemporary design. Also our very own design of unique hand-blown opalescent white glass bell shade plus brass, chrome and vintage antiqued brass metal coolie and clam shell shades. Suitable for table lamps, wall lights, uplighters and ceiling pendants. Please see our Galleries page for matching lightshade holders and shade carriers. A selection of LED light bulbs to compliment our extensive range of lampholders. 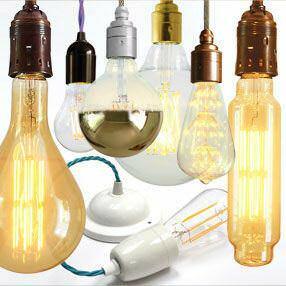 These stylish bulbs come in all sizes and shapes from Mega Globe to Vintage Squirrel Cage. Also more specialist candle bulbs for chandeliers and wall lights and much more. 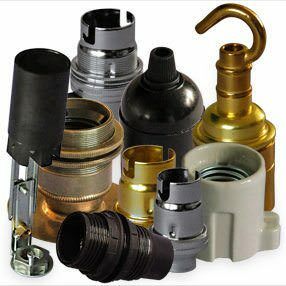 Our bulbs range come in ES, BC, SES and SBC fittings. Also check out or Special offers page for end of ranges at knock down prices. Glass light shade carriers or gimbles available in different heights and styles and in three metal finishes of antique vintage brass, polished brass and polished chrome. With plain or pierced gallery tops. These shade carriers are used to hold a Glass Shade onto a table lamp. Also available steel shade spring clips for lamp shades with no rim. A selection of coloured plugs and lamp switches for 2 and 3 core flex. Choices include our in-line rocker table lamp switch, in-line rotary dimmer (dimmer only), foot/floor large button switch and small push button switches. Ideal for use in antique lighting restoration and modern contemporary lamp design. 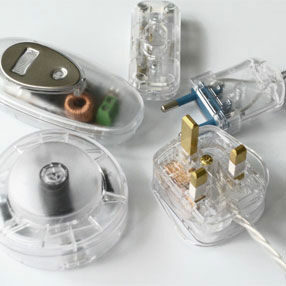 See our "How To..." page for switch wiring advice. Selection of metal wall lights; Large and small swan neck, single and double arms, small or large adjustable multi-postional. All available in Edison Screw and Bayonet Cap, in 3 metal finishes: Antique brass finish, solid brass and polished chrome finish. Simply find a Light Shade to suit such as our Small glass Bell shades - SHglass09-GY2 or SHglass10-GY2. Use a wooden pattress or metal rose for extra decoration or for additional purchase on your wall. Please Note: These wall lights do not come pre-wired. 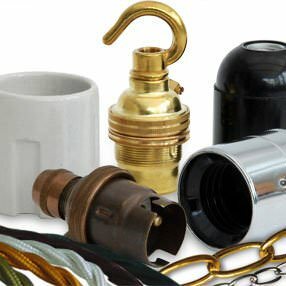 A vast selection of those 'difficult to find' lighting accessory hardware parts. Amongst them you will find all the various lamp components and odds & ends needed for lighting design and restoration. Most are available in antique, brass and chrome finish. Please email us preferably with a picture if you need something that is not displayed on the site. Selected range of Special Offer Lighting Products and Limited Stock items. Our 'Last Chance to Buy' products are now low in stock and once they are gone - They're Gone. So bag your bargain while it lasts! All of our Special Offer items and discounted products are available only whilst current stock lasts.